Fair, appropriate and mutually acceptable compensation is critical to a productive client/agency relationship. 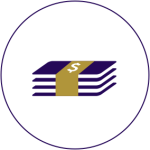 The Observatory International works with you to design appropriate and mutually acceptable compensation agreements that provide fair value to marketers, and fair profit to your agencies. We benchmark agency fees and resources by geography, by function and by agency discipline using our robust proprietary database to help clients negotiate and specify the conditions necessary for a productive and lasting relationship. Fee negotiations are notoriously complicated because of the different needs and expectations of marketers, procurement professionals and agencies. We bring together all the parties involved to shape an efficient and fair client/agency way of working, no matter how large or small the budget. We evaluate proposed or existing staffing arrangements to identify hidden or unnecessary costs as well as identify what constitutes reasonable staffing within a well-defined scope of work. This information allows us optimize staffing proposals to maximize agency efficiency. The output is a staffing structure, contractual terms and conditions and a compensation agreement designed to achieve your specific goals. We can even help you put in place payment by results (PBR) metrics that both minimize your financial exposure and help your agency deliver on their objectives more effectively. We have an extensive proprietary agency cost data and a toolbox of diagnostic approaches to evaluate fees against industry benchmarks and best practice. Click here to find out more about our Global Agency Rates Database™. Our unique Global Compensation Council leads best practices in compensation strategy and innovation.